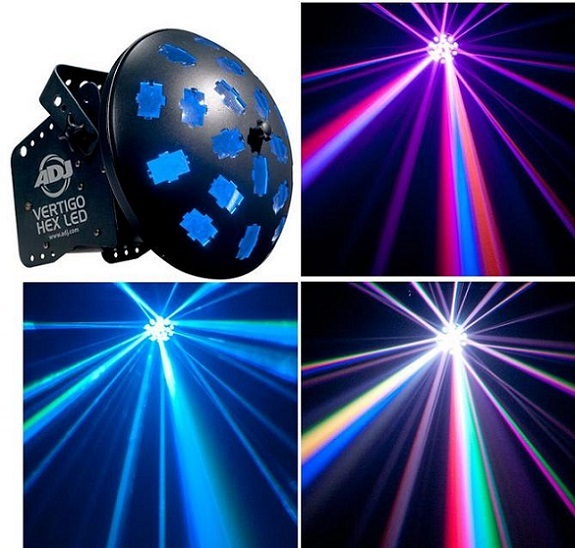 The Aggressor is one of the most popular effects in the history of ADJ Lighting. 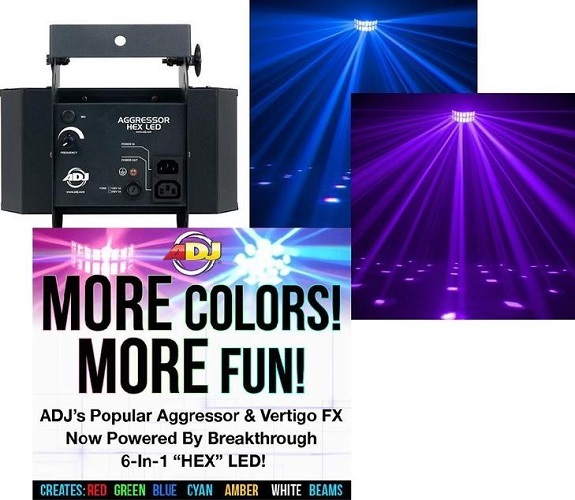 ADJ is taking the Aggressor HEX LED to the next level powered by two 12-watt “6-IN-1” HEX LED technology. 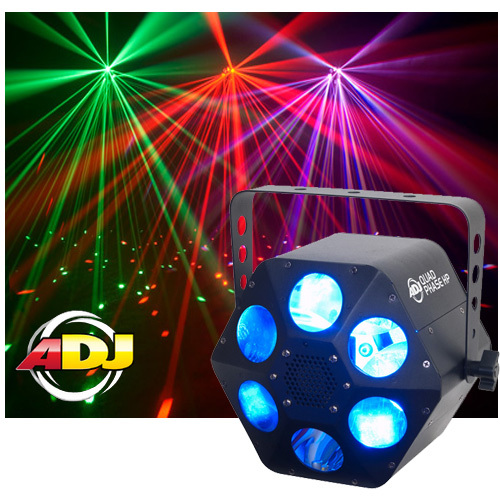 The ADJ HEX LED uses six colors built into one LED (Red, Green, Blue, Cyan, Amber & White) for more color options and brighter output. 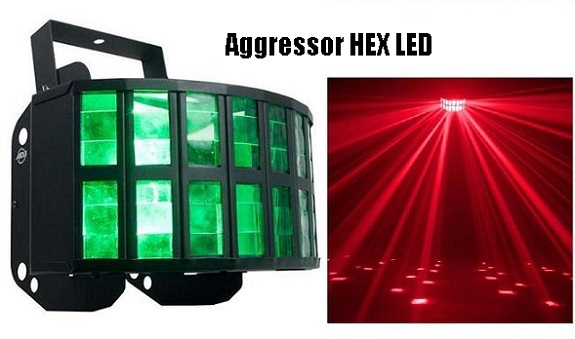 The Aggressor HEX LED is easy to set-up and use as it’s 60 Sound activated reactions move to the sound of music. ADJ has added IEC In/Out connectors to conveniently daisy chain power from one fixture to the other. The ADJ HEX LEDs are rated at approximately 50,000 hours.